I was told by someone who I consider to be very reliable that the word טבע, which means nature, does not have a source in Biblical or Talmudic literature, and it is a word that first emerges in Rabbinic literature in the Rishonim, possibly borrowed from another language. Said Rebbi Zeira: "Tiva" of Bavel caused me to not inspect [menstrual] blood. However, Artscroll interprets this to be a reference to the natural sciences, and their translation reads "natural [sciences] caused me ..." Artscroll seems to understand טבעא here to be the same as טבע, nature. However, I don't think this word is ever used to mean that in Talmudic literature, and Jastrow has no mention of טבע ever being connected to nature. Does Artscroll have any source here? Does טבע ever appear in Talmudic literature, such that it could mean "nature" in this context? Hagahos Yavetz there says he thinks it means nature, and it is from here that the 'chachmei teva' took the expression. He says there is no other instance of this word in this usage. In Tel Torah the coin explanation is given. He couldn't tell the difference between all the coins in Bavel because they were all similar, kol shekein (how much more so) he couldn't differentiate blood. And in Hagaos Yeshanos it actually says matbea diBavel. All this information courtesy of She'arim Mitzuyanim Bihalacha. Some scholars have claimed that the Zohar's use of Teva to mean "nature" is anachronistic and does not reflect Talmudic usage. In trying to debunk this claim. Rabbi Miller tries to find instances in the Mishnah and Talmud where it means nature. But if it means coinage, then there is no proof. The other answer here points out Hagahos Yavetz, that this is a singular instance in which this word means nature. I think coinage could work out just as well here - the idea being that the coinage system of Bavel was complicated. And while Rabbi Zera, who was a Palestinian Amora, did not understand the complexities of this foreign system, Rabba, who was a resident of Bavel, would be familiar with coins. If we say this means nature, then I think we should need to show that Rabba was a physician, and perhaps that there was a particular "nature" that was applicable to Bavel and not Eretz Yisrael. Similar to the Yaavetz cited by Mr. User6591, the Maharsha on this Gemara also understands the word טבעא used by the Gemara to refer to טבע. He is not directly addressing the meaning of the word, as the Yaavetz is, but from his explanation it is quite clear that this is what he takes it to mean. This would be an earlier source for this understanding of the Gemara. Does טבע ever appear in Talmudic literature, such that it could mean "nature" in this context? "She said to him, your teva has not yet issued forth from the world". This could easily be interpreted to mean nature. (And indeed, it is). The alternative is that it means your currency (being related to the word mishnaic Hebrew word מטבע - coin); the sign of a new monarch. "She said to him, even though Samuel anointed you, the currency of Saul is still extant, and your currency has still not [been] issued to the world"
If it meant currency then this statement is quite strange as the problem would not be that the currency was not known, but rather that it had not been circulated. Considering that I cant find a source in Chazal for the expression טבעך בעולם except in Megillah it seems probable that that is the source for the expression, and the Tanchuma does not seem t o be referring to currency. If, one thinks that the wording of the Tanchuma is not dependent on the passage in Megillah, then one would have an early source that implies teva means nature (although does not prove it). Another authority who evidently ascribed to a "coinage" reading of the Gemara (like Rambam's reading) is R. David Nietto (17th cent.) who writes that "teva" is a medieval word to describe nature. (De La Davina Providencia pp. 19-20 cited in Golden Doves With Silver Dots p. 139). Not the answer you're looking for? 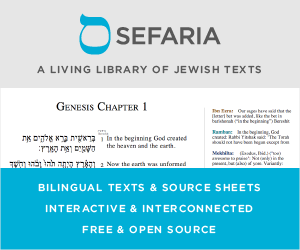 Browse other questions tagged sources-mekorot words talmud-gemara etymology artscroll .